selling your antique jewelry ? Where is the Best Place to Sell Antique Jewelry? Auction houses. A jewelry auction may seem like a good idea, but it’s not the most time efficient option – you can end up waiting around the auction house all day until your antique jewelry is sold. Pawn shops. Pawn shops are a popular choice among sellers, but we don’t recommend them. Pawn shops are notorious for their extremely low offers, and they likely don’t have expert jewelry appraisers on staff who can properly evaluate your antique jewelry for what it’s worth. Online buyers. With more and more websites likes eBay and Craigslist popping up, selling online is a tempting option. After all, what’s more convenient than making money from the comfort of your own home? However, because selling online is so impersonal, it is easy to get scammed. Remember to take the proper precautions to avoid this. Additionally, some online sale sites take a commission of your sale. Private buyers. Selling to a trusted private buyer is a great option. They can often give you a proper appraisal of your antique jewelry and make you an offer on the spot. It’s easy, convenient, and gives you the most bang for your buck. 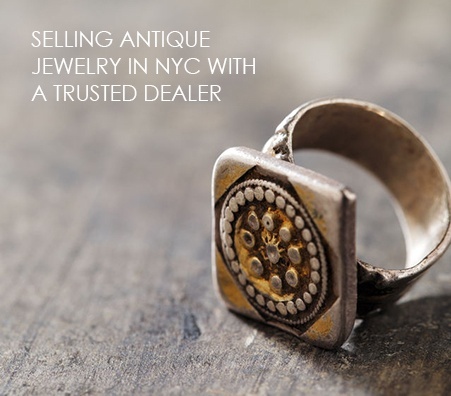 How Do I Sell My Antique Jewelry in NYC? 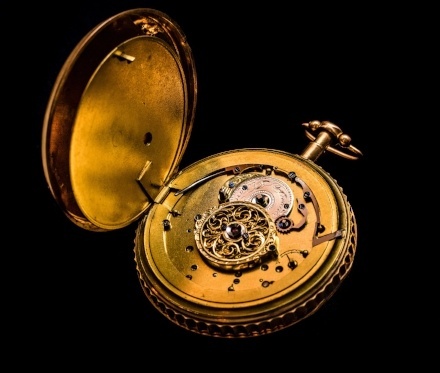 Whether you’ve recently been gifted antique jewelry, found an amazing piece in a garage sale, or have inherited some estate jewelry pieces, there are many reasons why one would want to sell antique jewelry. If you do the proper research about your piece and find an honest appraiser, you can walk away with a large cash payout! But don’t worry if you’re not ready to sell. 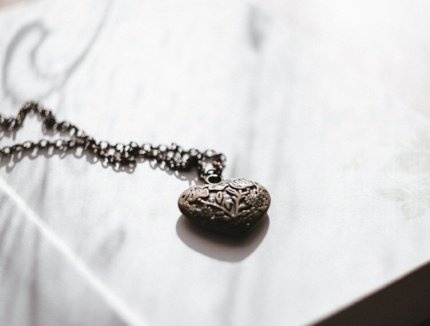 Antique jewelry can hold sentimental value, especially if it’s a family heirloom. If you find that you’re not ready to part with your jewelry, don’t feel pressured; however, you may want to consider getting it appraised regardless. That way, you know its value if you decide to sell in the future. 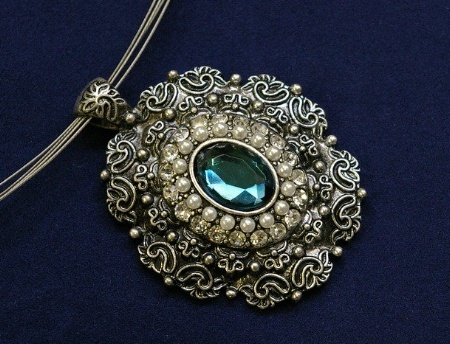 Antique jewelry refers to jewelry crafted at least 100 years ago. Naturally, this means that the jewelry was not mass-produced, and the pieces can be highly unique. Remember, old jewelry does not mean that it’s worthless! 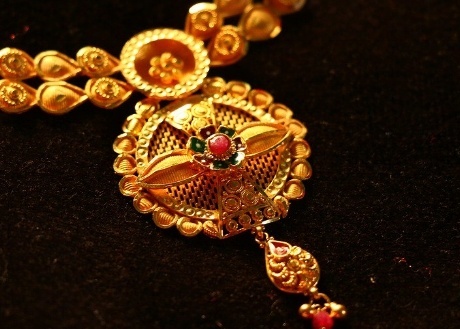 A professional appraisal can give you some idea of how much your antique jewelry is worth. Vintage jewelry refers to jewelry made at least 20 to 30 years prior (athough people often use the terms interchangeably). The term “vintage” encompasses a larger time period, making it easier to categorize older jewelry pieces as vintage rather than antique. 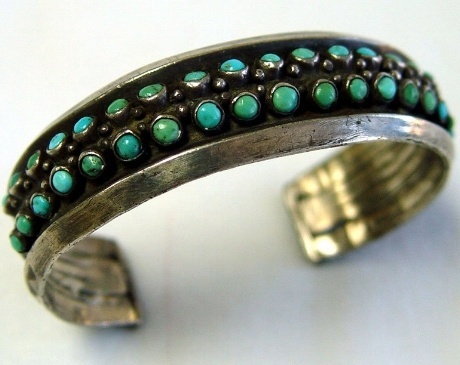 Additionally, the two categorizations can overlap: a bracelet from the 1800s is technically vintage and antique. However, if you were to sell it, you would want to advertise it as an antique so that it’s age can be properly highlighted. Which Eras Do Antique Jewelry Buyers in NYC Look For? Georgian (1714 - 1837) - Perhaps the rarest of all eras, Georgian jewelry was traditionally worn by royalty. Rings and brooches are the most common types of Georgian-era jewelry still in existence. Victorian (1837 - 1901) - Aptly named for Queen Victoria's fondness for jewelry, this era of antique jewelry marks the availability of gold and gemstones to the middle class. Art Nouveau (1890 - 1910) - Literally meaning "new art," this period focused on using gemstones rather than diamonds. 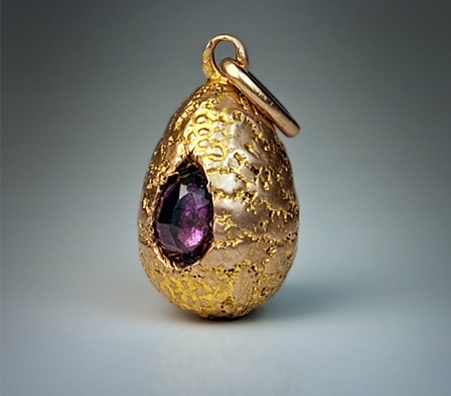 Jewelry from this period is easily identifiable by its imaginative and elegant form. Edwardian (1901 - 1920) - Edwardian era NYC jewelers look for jewelry that has a light, lacy, and feminine look. Rings, earrings, and pendants tend to showcase the natural beauty of diamonds and pearls; they are generally set in platinum. Are There Any Other Eras That are Valuable? Art Deco (1920 - 1935) - Stylish, artsy, and fun - the art deco era represents the Roaring Twenties and the widespread use of white gold. Retro (1930 - 1950) - Hollywood's golden age paved the way for larger-than-life designs and the use of yellow gold and gold alloys. A jewelry appraisal is the process in which a certified expert evaluates your jewelry or gemstones. The expert will test your antique jewelry in different ways. 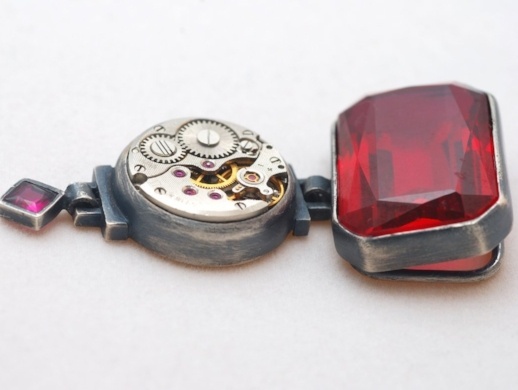 The appraisal can determine what metals, gemstones, or other materials your antique jewelry is made of, and may be able to determine what year the piece is from. An appraisal is also what determines the monetary value of your jewelry piece. Weighing it: Your antique jewelry will be weighed on a professionally calibrated scale. Luriya’s scales are certified by New York State for guaranteed accuracy, and your antique jewelry buyers’ scales should be, too. Inspecting it: The appraiser will use a magnifying glass (also known as a jewelry loupe) to examine your antique jewelry for any abrasions, scratches, or damage. Based on what the appraiser finds, he or she will quote you a price for the value of your antique jewelry pieces. 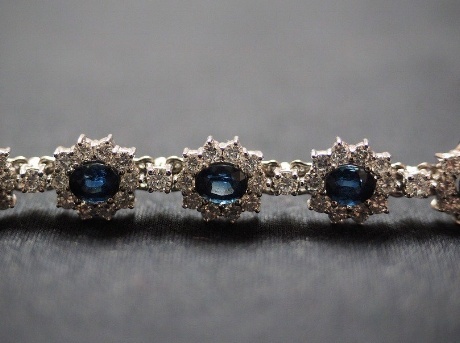 Get your antique jewelry appraised by a professional, certified appraiser. Make sure the appraisal is done in front of you. Find an experienced vintage jewelry buyer with a trustworthy reputation. Negotiate for a higher offer. Most jewelry buyers are willing to up their offer if you show that you won't settle for less and know the value of what you're selling. Why Should I Sell to A Private Buyer? Aside from being the option that provides great customer service, selling your antique jewelry to a private buyer also provides the greatest attention to detail and care. Especially if you’re located in NYC, there are a multitude of established private buyers to choose from. Even if you’re not selling diamonds in NYC’s Diamond District, this famed area is known for its many experienced private buyers who specialize in buying diamonds, gemstones, precious metals, and fine jewelry – including antique and vintage jewelry. Take a trip down to 47th Street in Manhattan and shop around. Once you find a trusted, established buyer, you can leave with a large cash payout the same day. What Should I Look for in an Antique Jewelry Buyer? 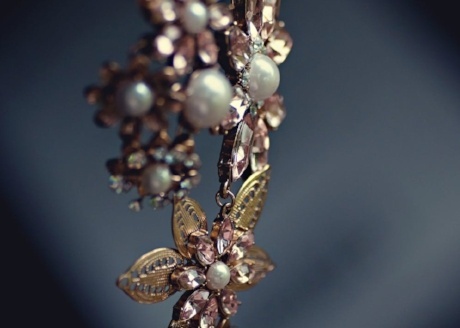 You should look for an antique jewelry buyer who is, most importantly, experienced. 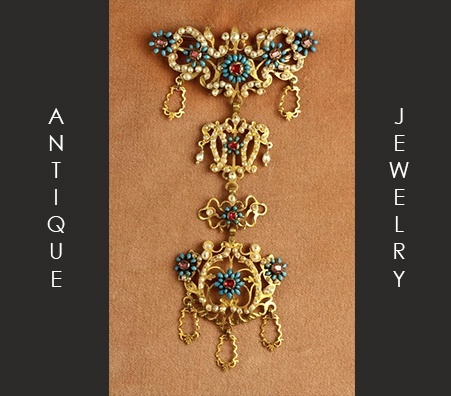 Evaluating antique and vintage jewelry is an expertise and requires a special set of skills. Make sure your antique jewelry buyer has a certified, professional appraiser on staff. It’s also important to find a jewelry buyer with an excellent reputation. Research different jewelry buyers and read reviews of the company on websites such as Yelp and Google. How Do Appraisers Determine the Price of My Antique Jewelry? The condition of the piece. The rarity of the jewelry. The current retail price of the metals and gemstones that make up the jewelry. 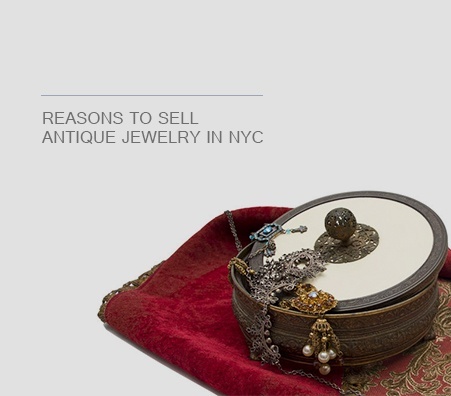 These, among other factors, will be what determines how much your antique jewelry sells for. They test your antique jewelry in front of you for authenticity, not in a storage room closed to the seller’s eyes. Like NYC jewelry standout Luriya, they have all of their scales certified and calibratedfor accuracy in measurement. You wouldn’t want to sell your antiquesto someone whose scales robbed you of a few grams of weight, now would you? They are well-known in the community for their positive influence and good business dealings. 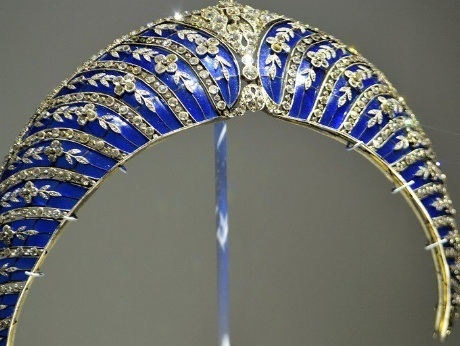 While everyone would like to think that their antique jewelry is worth thousands, there’s a chance that you might get offers lower than what you were hoping. It’s important to remain realistic about what you’re selling. If your antique jewelry item is appraised for $50, it will never sell for $3,000 – no matter how many antique jewelry buyers you explore. 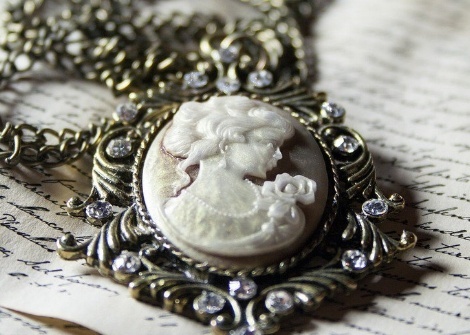 Make sure your antique or vintage jewelry is in good condition. It’s a good idea to clean it before trying to sell it. After all, presentation matters! For very old pieces, ask your appraiser for the best method. If you decide to sell your antique jewelry online or if you can’t bring the jewelry along with you in person, make sure you take high quality, high resolution photos of your jewelry. Photos should be well-lit and clear. Do your own research about your jewelry. If you’re able to, try to determine the era it is from, what metal it is made from, and if there are any discernible hallmarks. The more you know about your own antique jewelry, the less likely you are to get scammed.